Bill Wilder invited you to Aloha! Bill Wilder invited you to Aloha. Aloha alerts you when your friends are nearby on your phone. Open http://heyAloha.com to install Aloha! Here's my take on things, ranging from the place of the kingdom of God in biblical theology (perhaps my favorite topic of all) to my critique of The Da Vinci Code. With the exception of some of the print and CD material on Lulu.com, everything is free (including the downloads on Lulu.com). The Shack: A Discussion with Greg Thompson and Bill Wilder, four-week interactive discussion at Trinity Presbyterian Church in fall 2008. In each discussion we attempt to affirm goodness and truth where it is found in this book while gently challenging some of the book's assertions and challenges in the light of a distinctively Christian and Biblical perspective. In- and Out-of-the-Body Experiences: A Biblical Perspective on Bodies, Heaven, and the Christian Hope, a Center for Christian Study lecture series which examines the specifically Christian understanding of bodies, death, the intermediate state in heaven, and glorified bodies in a new creation (Oct 17, 24, 31; Nov 7). The preaching I long for, a Common Grounds Online post (May 11, 2007). Easter at Cair Paravel, a Common Grounds Online post (March 30, 2007) musing on the significance of the Narnian prophecy that "when Adam's flesh and Adam's bone/ sits at Cair Paravel in throne/ the evil time will be over and done." Sesame Street, study, and sanctification, my reflections on the importance of biblical and theological study in Christian formation. This piece was posted March 26, 2007 on the blogsite for the excellent Trinity Fellows Program, for which I teach the Old Testament and the New Testament courses. "Conformed to the Image of His Son": Image, Sonship, and the Christian Hope, a two-part Lenten lecture series delivered at Crozet United Methodist Church on March 20 and 27, 2007. Buzz saws, idolatry, longing, and raised bodies, a short piece posted on Common Grounds Online on Feb 6, 2007, reacting to criticisms of my claim that disembodiment in heaven is a loss. "Be Thou My Vision: Paul's View of Life in Light of Christ in His Letter to the Ephesians," a four-part lecture series delivered at the Center for Christian Study in the fall of 2006. "The Authority of Scripture," the first in a four-part series on the theme of authority at the Center for Christian Study in 2006-2007. Robert Wilken addressed the topic of "The Authority of Tradition," Nicholas Wolterstorff spoke on "The Authority of Reason," and Drew Trotter dealt with "The Authority of Experience." The hope of plastification, another short piece posted on Common Grounds Online, on Oct 14, 2006, reacting to the Body Worlds exhibit of plastinated human bodies presently making its way (in three versions) throughout North America. Understanding the Bible seminar, a five-hour introduction to the Bible using various biblical genres (such as ancient near Eastern treaty form, prophetic oracle of judgment, apocalyptic literature, proverbs and aphorisms, and laments) as a window into biblical theology. 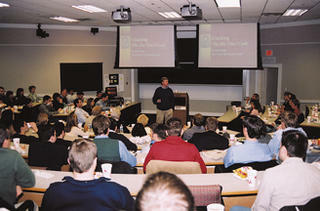 This seminar was presented at the Study Center on Sept 23, 2006 (free audio download). His transfiguration and ours, a short piece posted on Common Grounds Online on August 11, 2006, reflecting on the collect and readings in the Book of Common Prayer for the Feast of the Transfiguration. An apology for N.T. Wright, a short piece posted June 15, 2006, on Common Grounds Online, attempting to explain my continued admiration (despite disagreements) for Bishop Wright. 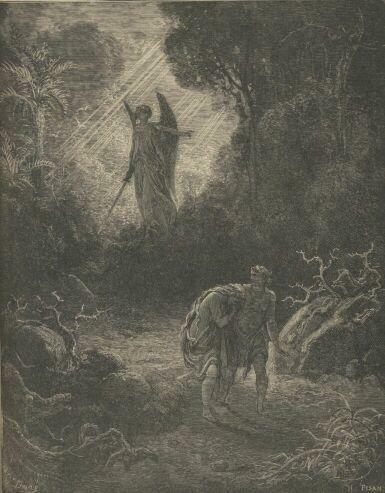 "Illumination and Investiture: The Royal Significance of the Tree of Wisdom in Genesis 3," an article which appeared in the Westminster Theological Journal in June, 2006. Here I argue that had Adam and Eve obeyed, they would have eaten from the 'tree of wisdom' and been clothed in God's glory as his proper vicegerents over the world. God's clothing of Adam and Eve in animal skins is thus a token of their proper inheritance, but much less than the royal and glorious event to which their obedience would have led. Breaking the Da Vinci Code, an hour-and-a-half lecture exploring the historical and theological claims of Dan Brown's potboiler novel (and blockbuster movie), delivered at the Center for Christian Study, April 20, 2006 (free audio download and PDFs). Our priestly hope, a sermon delivered at Trinity Presbyterian Church in Charlottesville, April 2, 2006, on the investiture of the priests in Exod 28-29 and the fulfillment of the hope indicated there in Christ and the church. Your Kingdom Come, a two-and-a-half hour lecture I gave as a part of the Perspectives on the World Christian Movement course at Trinity Presbyterian Church here in Charlottesville, February 2006. This is essentially a condensation of the biblical theology of human vicegerency I more fully develop in my OT course at the Study Center (free audio download). The Doctrine of Justification in the Work of N.T. Wright, a four-part lecture series (six hours total) delivered at the Center for Christian Study in April and March of 2005. The lectures cover Bishop Wright's view of the narrative substructure of Paul's theology, the relationship between his views and covenant theology, his teaching on the "righteousness of God" and imputation, and his understanding of justification in Paul (free audio download). Baptism & Circumcision: A Biblical Case for Believer's Baptism, a short booklet outlining a redemptive-historical defense of believer's baptism. Special attention is given to the difference between the baptism of believers in the New Covenant and the circumcision of infants in the Old Covenant (free PDF download). The Bible, Juju Healing, and the Curse: A Christian Explanation of Suffering for Ministry in Africa, a lecture originally delivered at the Chaplaincy Program, Baptist Medical Center, Ogbomosho, Nigeria, in April 1997. This was my attempt to explain the gospel and suffering from the Biblical context to the African context. Call it contextualized Biblical theology (free PDF download). In earlier posts I've argued that the flesh-Spirit dualism in Paul is not meant as a contrast between the human and the divine or the material and the immaterial. Rather, at his resurrection Jesus moved from a fleshly mode of human (bodily) existence to a Spiritual mode of human (bodily) existence in a way that anticipates our own destiny as the people of God. The importance of this understanding of the resurrection of Christ cannot be underestimated, as even the last post on resurrection and the Lord's Supper indicates. Greek dualism is that of two worlds, the visible and the invisible, the phenomenal and the noumenal, becoming and being, appearance and reality. Man belongs to both worlds by virtue of the fact that his is both body and soul or mind. "God" can only be known by the control of the bodily appetitites, that the mind may be free from the material pollutions to contemplate the divine realities. Finally, the soul must escape from the wheel of bodily existence to return to the divine world where it really belongs. In other words, human beings are themselves an incompatible mixture of the material and the divine. The whole point of existence is to cultivate the divine and rational part of our being by controlling and eventually escaping the material and bodily side. You can see how easy it would be understand flesh and Spirit in that way. Flesh is the material part we need to get rid of. Spirit is the divine part we need to protect and nurture. The Hebrew view is not a dualism of two worlds, but a religious dualism of God versus man. Man is God's creature; creation is the realm of God's constant activity; and God makes himself known and speaks to mean in the ebb and flow of history. Man is not a bipartite creature of the divine and human, of soul and body; in his total being he is God's creature and remains a part of creation. Therefore, the redemption of man and the redemption of creation belong together. Isn't that amazing? Creation and bodily existence isn't something we're trying to escape so we can "go to heaven," as if that's some sort of Spiritual existence outside of time and space. Rather, God deigns and delights to work in creation and in creatures like us to accomplish his purposes. Indeed, he has done so in a consummate way in our resurrected Lord. In sum, the Greek view is that "God" can be known only by the flight of the soul from the world and history; the Hebrew view is that God can be known because he invades history to meet men in historical experience. He invades history to meet us where we live--in time and space. And we look forward to his doing so in a climactic way at the Second Coming of our Lord. More on that anon. Speaking of the resurrection, did you know that your understanding of the resurrection affects your understanding of the Lord's Supper--and vice versa? This was brought home to me as I was reading Calvin's Institutes with a grad student last semester. So, is there anything in faith and life that this doctrine doesn't touch? Here's the issue... Jesus said of the bread, "Take, eat; this is my body," and of the cup, "This is my blood of the covenant." In what sense is that true in communion? Do Christians partake of the body and blood of Christ quite literally and objectively? Or is Jesus speaking only figuratively? Or something else? We say Christ descends to us both by the outward symbol and by his Spirit, that he may truly quicken our souls by the substance of his flesh and blood (IV.17.24; my emphasis). Good point, if perhaps lacking in subtlety. From Calvin's perspective, it's nuts (paraphrasing here) to speak of Christ having a real human resurrection body and then demand that bits of it appear wherever bread and wine is consecrated and received. Human bodies simply don't work that way. Never have. Never will. Flesh must therefore be flesh; spirit, spirit--each thing in the state and condition wherein God created it. But such is the condition of flesh that it must subsist in one definite place, with its own size and form. With this condition Christ took flesh, giving to it, as Augustine attests, incorruption and glory, and not taking away from it nature and truth (IV.17.24). Think about what this means! When Christ was glorified, he didn't somehow become less human. It was all addition (incorruption and glory), no subtraction (of distinctive time-and-space bodily attributes). And, of course, what is true of Christ's glorified body will be true of ours as well. So, when we celebrate the Lord's Supper, we do indeed proclaim the Lord's death until he comes (1 Cor 11:26). It can also be an occasion to remember the nature of his resurrection--and ours. Back to the Articles of Religion, though. Two things captured my attention. 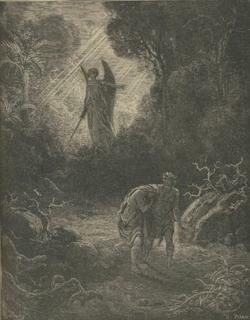 First, I was struck by the fact that the third Article of Religion, immediately after the affirmation of the Holy Trinity and the dual nature of our Lord (human and divine), is "Of the going down of Christ into Hell," namely, that "As Christ died for us and was buried; so also is it to be believed, that he went down into Hell." The placement makes some sense, coming as it does right before the fourth Article, "Of the Resurrection of Christ" (his descent into hell naturally preceding his resurrection). It seems unfortunate, though, that such a controversial doctrine is thus given such prominence. I'm in sympathy with evangelical scholars such as Wayne Grudem who have questioned the biblical validity of this doctrine--and pointed out its very tardy (sixth-century, as I recall) inclusion in the Apostle's Creed (especially as an affirmation separate from the burial of Christ). Second, and somewhat conversely, I was impressed by the truth and beauty of the fourth Article of Religion, "Of the Resurrection of Christ." Christ did truly rise from death, and took again his body, with flesh, bones, and all things appertaining to the perfection of Man's nature; wherewith he ascended into Heaven, and there sitteth, until he return to judge all Men at the last day. This truth surely is at the center of the Christian religion. As Skip told me more than once (quoting one of his seminary professors), we believe that "the dust of the earth is seated on the throne of heaven." Jesus is "of one substance with the Father" (citing the second Article there), to be sure. We worship him as such. And yet... he is also the human lord of the universe, reigning from heaven in all his human glory. And it is that glory which we Christians anticipate sharing with him. I never cease to be amazed at this great truth. The third Article is a descent, in my view, in more ways than one. The fourth Article ascends to the heights and is itself a great gift to men. Of course, if the movie generates anything near the interest roused by the book, spring 2006 may come to resemble spring 2004. I vividly remember agreeing to speak on "Cracking The Da Vinci Code" at the Darden School back in February of that year. The Darden Christian Fellowship and I had never seen anything like it. One hundred and sixty people showed up, filling the room to overflowing. The free Chick-Fil-A may have had something to do with it... But then again, that same night over one hundred people came to the Center for Christian Study for just the lecture-no food. I pretty much spent the rest of that spring talking about the book, I'm afraid. Not that that's a bad thing; it's just that there are, well, other things (like Paul's understanding of resurrection and the new creation) that I would rather talk about. But we'll see if spring '04 is a harbinger of things to come in the New Year. In any case, that initial Wednesday night lecture at the Study Center is still available, if you're interested. Still just the lecture--no food. Consider it my way of contributing (in my own bee-wildered way) to the blog swarm. I slowed down a bit this morning. Not because the list of things I have to do suddenly decreased. Indeed, to get caught up I should making time like some of the cross country runners I so enjoy cheering on in their meets and invitationals around here. 16 Rejoice always, 17 pray constantly, 18 give thanks in all circumstances; for this is the will of God in Christ Jesus for you. The mention of God's will here reminded me of a recent panel discussion I attended on "Finding God's Will in the Job Search"--and made me wish that I had mentioned this passage. For whatever God's specific will may be for our individual lives, this much is plain: he calls us to worship. To gratitude. To the giving of thanks for his blessings. In all circumstances. Ephesians 5:17-20 17 Therefore do not be foolish, but understand what the will of the Lord is..., 20 always and for everything giving thanks in the name of our Lord Jesus Christ to God the Father. Colossians 3:17 17 And whatever you do, in word or deed, do everything in the name of the Lord Jesus, giving thanks to God the Father through him. 2 Corinthians 1:11 11 You also must help us by prayer, so that many will give thanks on our behalf for the blessing granted us in answer to many prayers. 1 Corinthians 15:57 57 But thanks be to God, who gives us the victory through our Lord Jesus Christ. Paul can even say that the world is condemned because of its failure to give thanks! Romans 1:20-21 20 Ever since the creation of the world his invisible nature, namely, his eternal power and deity, has been clearly perceived in the things that have been made. So they are without excuse; 21 for although they knew God they did not honor him as God or give thanks to him, but they became futile in their thinking and their senseless minds were darkened. All this makes sense, of course, because our primary vocation as human beings is to worship God. Called to be priests and kings (our twin calling as humans), we are first of all priestly worshipers. All else flows from that. So let us give thanks. With and in all that we have to do, that's God's will for us today. Walking or running. Ken Elzinga is the Robert C. Taylor Professor of Economics at the University of Virginia and a board member for the Center for Christian Study. As a speaker at the Abilene Christian University centennial celebration, he recently addressed himself to this question: "What is the difference between Christians in higher education and Christian higher education?" An excerpt follows from an online version of this address. You may find the full text here. ...Privatizers in higher education view their faith as disconnected from their work as professors. They are involved in a local church (often heavily involved); if they are married, they are probably faithful to their spouse; if they have children, they love their kids; and their names do not show up in the newspapers having done something that embarrasses their school. But these professors, the privatizers, are not identified at their schools as Christians; this aspect of their identity may never be known by students or colleagues. Not that their faith is a deep or dark secret; they probably consider the information irrelevant. They are identified as professors of chemistry or accounting or German literature. That’s it. Their Christian faith is private and apart from their jobs. These professors live in two worlds, not simultaneously, but sequentially: one is secular; that’s the campus; the other is sacred; that’s their church. Now let me say, as an aside, that by my observation some Christian faculty at Christian colleges and universities live like privatizers as well. I have yet to decide whether this is sad, or scandalous, but they are not the subject of this discussion. The second kind of Christian professor in higher education I’ll call the evangelical. The professors, researchers, and scholars in higher education I have labeled the evangelicals believe that the quest for truth begins and ends with Jesus. Their work involves teaching and research in their disciplines. But their calling entails extending the reign of Jesus into all realms. I had a conversation with a friend earlier in the week and, typical of this friend, he got me thinking. He was lamenting the tendency of the church to look just like the world around it. I see his point, to be sure. But God often works in almost imperceptible ways. Sometimes we must look for even the smallest signs of grace. This story--written while my family and I were in Nigeria some years ago--came to mind. Nicolien just came in with some of the latest news. She says that the Yoruba people here (we're in Yorubaland and Chief Abiola was Yoruba) have been blaming the Northerners for Abiola's death (the military leadership is Northern). Apparently the Yoruba have been stopping Northern truckdrivers (from the Hausa tribe) and are not allowing them to pass. The road has basically been blocked. Fortunately, we haven't heard of any violence here in Ogbomosho. (Scratch that: Nicolien just told me they destroyed the property of the Hausa chief here.) One concern is that a few missionaries on vacation here from the North went out fishing early this morning, before things became unsettled. We'd like to reel them back in at this point, if we could. My own experience with rioting is fairly limited, I'm thankful to say. Unfortunately, my closest encounters have been of the church kind. I think I mentioned the time I went to preach at an Igede church, only to find the thatched church shelter empty when I arrived a few minutes before the service was to begin. 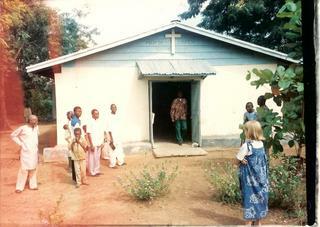 The church had emptied when the Igede people had heard of an Igede - Yoruba dispute in their village. Fortunately, the matter was resolved fairly quickly and the people were able to return to church. That I had planned to preach from the book of Habakkuk (which deals with the problem of suffering and violence) that day was no mistake, I think. I made a more intimate acquaintance with rioting at church sometime last February. As most of you know, my family attends a very small church out in the leper colony. The people who attend church there are the living dead in many ways. Shunned by family and society, these victims of Hanson's disease are desperately poor and physically debilitated. I told you the story of Mary Atonwa, the elderly woman from the leper colony who died so unexpectedly (to me at least) and who was buried rather unceremoniously in an overgrown field by the church. Her life and death were not so much tragic as pitiful; it is certainly true of her that "if for this life only she hoped in Christ, she is of all people most to be pitied" (1 Cor 15:19). Ultimately, it is the Christian hope of resurrection from the dead (like our Lord) that gives meaning and purpose to the suffering and trials of those who believe in him. That's easy to forget, though, when you're hungry, physically handicapped, and short on cash. When we arrived at the church that Sunday morning it was clear there was a problem. Once again, no one was in the church (shades of the Igede experience). In fact, no one seemed to be inside at all. Instead, everyone seemed to be outside, shouting at each other and occasionally brandishing pieces of wood or other makeshift weapons. It was mass confusion. And here we were, the missionaries and the (non-Yoruba) student-pastor, not a one of which could speak Yoruba with any fluency (this situation was well past the polite-exchange-of-elaborate-greetings stage). To tell the truth, I wasn't too keen on wading into the brawl; on the other hand, I was even less enthusiastic about standing around until people started clubbing each other instead of attending church. So the pastor and I joined the running around and shouting, except that we were speaking English and half-begging, half-commanding people to go to church where we could settle the issue in a more Christ-like manner. After no little struggle ("put that wood down!" "go to the church!") and not a few false starts (halfway to the church and my man breaks away to begin shouting again), we finally managed to get most of the people into the church and seated. Whew.... Now what? At first I sat down in the pew, very relieved that my student (and not I) was the pastor. What a mess. Then it dawned on me that as a resident missionary and the pastor's teacher (and elder), I would almost certainly be expected to take a leading role in what followed. Oh joy. So I walked up to the front, spoke briefly to the pastor, and found myself sitting next to him a moment later, on the program to give the message for the day. From what little I had been able to gather from the pastor and church leader, it seemed that some people in the church had been upset over what they considered to be an unfair distribution of clothing given to the church. As I understood it at the time some of the people didn't want the newcomers to receive any of the gifts. I was disturbed by this, to say the least. When I got up to speak I told the story of the good Samaritan, Jesus' answer to the Pharisee who asked "Who is my neighbor?" I tried to make clear that the answer to that question cannot be defined in terms of family or village or tribe or nation, that God is one and his people are one, that we are called "Christians" because we are called to be like Christ--in his self-sacrificing love as well as his resurrection glory. After I finished, the wife of the late chaplain of the whole leper colony came in and spoke for a while as well. I'd like to say that the whole church was immediately overwhelmed with remorse and a dramatic transformation took place even as I spoke. The process was a little more drawn out than that. I'm happy to report (instead) that we didn't return to a full-scale riot immediately after the church service, even though a police officer was waiting outside the church door and ended up carting off five or six people for questioning at the police station. The situation was well enough in hand by an hour or so after the service that the pastor and I felt we could safely leave. We promised to return later that afternoon to check on things. And that's what we did. When we came back around mid-afternoon things were very quiet and I was inclined to leave them that way. However, the pastor and the chaplain's wife insisted on having a village meeting (images of Riot Redivivus in my head), so for the next two hours or so we listened to every possible side of the story. Actually, there was more than one story and each story had so many sides that I ended up being completely confused. Finally, with Solomonic wisdom I proclaimed that there was no way to resolve all the knotty and tangled issues: those who had something to forgive simply needed to forgive (as Christ forgave them) and those who had something to confess and ask forgiveness for needed to do that too. Then we joined hands and sang--in Yoruba or English--"Blessed be the tie that binds." When the pastor and I left, there was only one irascible old lady still shouting. I'm not sure why I've shared this whole story in such detail, apart from the fact that it made a big impression on me. It certainly isn't your typical "inspiring missionary story." Maybe this story is a bit more true to life, though. God can and does work in dramatic ways, sometimes. More often, I think, he moves in small steps, a little bit at a time, in many different ways and with more than one means of grace. I don't know about you, but for me a movement from full-scale riot to one irascible old lady shouting is a pretty good illustration of progressive sanctification. It's not perfect peace yet, but it's moving in that direction. And one day there will be perfect peace. Speaking of peace, things seem to have calmed down in the town. I don't hear any more shouts from that direction. The guys who went out fishing have returned too, so that's good. Come to think of it, the sun is out now too and shining more brightly than it has for a few days. Things are definitely looking up. My wife's parents have been in town for almost two weeks now. That's something, because my wife is Dutch and, well, so are they. So they've come all the way from the Netherlands to be with us. Our family has been blessed to see them more often than we might expect, given the distance, but it's still very special when "Opa" and "Oma" come to visit. It's one thing to tell them about all that's going on here; it's quite another for them to be here and eat dinner with us, talk in our living room, meet our friends, see their granddaughter run cross-country, take a stroll on the downtown mall together. It's a gift and we're grateful for it. The gift is even greater when God comes to visit. Katrina and Rita may suggest an absent god. John's Word is better, indeed... This was, uh, brought home to me in the last class my friend and I have been teaching on the Gospel of John. The week before we had considered the way in which the Word/Wisdom of God comes to a surprising in-the-flesh expression in Jesus: "The Word became flesh and tabernacled among us" (John 1:14). In this class we picked up on that theme of tabernacling--of God dwelling among his people. The story of the temple in the Old Testament has a strong tragic dimension. Built as the climax to God's covenant with Israel, the tabernacle itself--and, later, the temple--is destroyed because of the people's faithlessness. Even so, God repeatedly promises to rebuild his temple and dwell once again with his people (e.g., Amos 9:11-12). It is this rebuilt eschatological temple to which the prophets look: the ultimate hope of God's permanent presence among his people. Strangely, perhaps, the story of Israel's temple becomes the story of Jesus' life. It begins with a tabernacle, in which the very Wisdom of God is enshrined (John 1:14). Incarnation as greater-than-Sinai tabernacle construction! And the story moves inexorably to its appointed conclusion. In only the second chapter of John, Jesus judges the temple of Herod ("Do not make my Father's house a house of trade") and announces its replacement: "Destroy this temple, and in three days I will raise it up... But he was speaking about the temple of his body" (John 2:14-22). Death as temple destruction. Resurrection as temple restoration. One day, at the appearance of the new heaven and the new earth, "the tabernacle of God [will be] among men, and He will dwell among them, and they shall be His people, and God Himself will be among them" (Rev 21:1-4). In the meantime, a place has been prepared for us: a newly renovated Father's house, in which we are invited to dwell. For Jesus in in the Father, and the Father in him; and we are in him, and he in us (14:11,20). In Jesus God has already made himself a temple-home among us. One day he will move in for good. I still remember seeing The Purple Rose of Cairo when it came out in 1985. I was in Europe, studying in Munich for my second semester abroad in college--but even more intent upon spending as much time as possible with my Dutch fiancee a bit further north. It was during one of those times in the Netherlands that we went to see, as it turned out, the latest Woody Allen flick. Only one scene from the entire movie remained with me: the image of poet and explorer Tom Baxter leaping off the movie screen into the life of Celia, a forlorn depression-era waitress (which clip you can see by clicking the movie poster above). That was the image that came to mind... when a friend and I began preparing to team teach a class on the Gospel of John for a church fellowship this semester. The Gospel of John opens in a dramatic way: "In the beginning was the Word and the Word was with God. And the Word was God." Picking up on a long-established tradition in Jewish circles--one in which a personified Wisdom aids the Lord God in creation and eventually makes its way to Israel in the form of the Mosaic law, John casts Jesus in the role of Wisdom with a surprising twist to the old story. Wisdom is no longer embodied in the law and enshrined in the temple; it is enfleshed in Jesus, who becomes the new temple of God's presence. While the Mosaic wisdom of old did make its home in Israel, Jesus is rejected by those who should have received him as the proper climax to the story of Wisdom. In the Woody Allen film Celia's search for 'real' happiness is as fruitless as Tom Baxter's quest for the purple rose of Cairo. The incursion of film and fantasy into the harsh realities of this world is by its very nature temporary and illusory. "I gotta speak to you," Tom says right before he makes the leap. The Prologue to John speaks a better Word, one which truly becomes flesh and tabernacles among us. The other day I listened to a Christian speaker develop the topic of "excellence." Though the speaker was a likeable man with passion and charisma, my heart sank as he spoke. He defined Christian excellence almost exclusively in terms of achieving high-quality performance in every area of life. One illustration was particularly revealing... He mentioned visiting people's homes and seeing the doors to so many rooms of the house closed. He concluded that this indicated a lack of "excellence" in cleaning the house, in which every room should be clean and spotless. What can I say? It reminded me of a close friend of mine who once had a church leader judge her spiritual maturity on the basis of whether she detailed her car every week. Admittedly, I'm not exactly a paragon of excellence in these respects. One need look no further than my own lackluster 1994 Buick with the gaping hole in the front right fender for evidence of a certain lack of, uh, excellence in automotive upkeep. And you'll probably find some doors closed in my house when you come to visit, if I can just get the kids to remember to keep them that way. And yet, to be honest, sloth is not exactly my besetting sin. If anything, I am more likely to make an idol of excellence, to let my contentment on a given day be determined by how much I get done, how clean the house is, how well my children behave, how well I'm feeling, and so forth. Indeed, I consider it something of a victory that I'm more willing these days to let certain areas of my life be less than excellent in order to focus on things that are more important. Even this doesn't get at the heart of the matter, though. Surely there is room for exhortations to excellence in the body of Christ, even if some of us are working more on being less perfectionistic and demanding. What really disturbed me was the utter absence of the gospel from this presentation. No references to creation or the fall, to redemption or restoration. No references to the cross and the resurrection. No reflection on the ways in which any of these revealed truths should motivate, affect, redefine, or empower 'excellence' in our lives. I write all this only because I am convinced that a distinctively Christian approach to a thing must consider it in the light of the cross and the resurrection of the Lord Jesus Christ (themselves answering or announcing creation, fall, redemption, and restoration) and our present position between the ages. This is true of "excellence"; it is also true of suffering, politics, sexuality, apologetics, hermeneutics, environmentalism, business, and every other aspect of life or thought. Let's call each other to God-honoring, Christ-centered, Spirit-dependent excellence in that pursuit. And I probably need to wax the car at some point too. 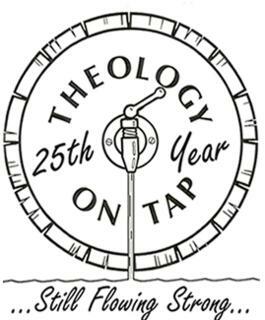 Perhaps you've heard about "Theology on Tap," a Roman Catholic ministry which has been dispensing large draughts of good theological conversation, often at a bar or grill, for some 25 years now. Well, a group of graduate students and I had our own version of "Theology on Tap" this morning at the locally famous "Bodo's Bagels." Call it "Theology on Rye." Marble rye, to be exact. This particular Bodo's has its own fascinating history. The third of three Bodo's in Charlottesville, it finally opened its doors on the Corner after ten long years... Ten years, I might add, of local anticipation, anger, doubt, and, yes, perhaps even a sense that the empty store with the “Coming Soon” sign was the only Corner institution by the name of Bodo's we were likely to see. So I suppose it was appropriate that our little Bodo’s band this morning spent most of its time discussing, well, eschatology—the ways in which another institution is already here even as we wait for a final Coming. A clearly developed evangelical theology of the "not yet" keeps... a historical vision at the forefront, while dismissing every secular attempt at utopia as, at best, a pretender to the throne. Thus, evangelicals can affirm, as did George Eldon Ladd, the conclusion of E. C. Gardner: "Christian eschatology means the end of all social and political utopias which expect to achieve a perfect pattern of peaceful society by human means and human strength." Thus, a Kingdom-oriented, inaugurated eschatology can inform evangelicalism by reminding the movement that, as Carl Henry has counseled, all secularist and evolutionary models of utopian progress have "borrowed the biblical doctrine of the coming kingdom of God but cannibalized it." We have, then, no reason to despair and every reason to hope: the kingdom of God will come in its fullness to this world. It will come with Christ at his return. And yet it will not fully come before that time, whatever we do. In that way our hubris is chastened even as our hope is kept alive. Which is just what we need in the wake of Katrina. As Christians we know something about Katrina that the rest of the world just can’t know: This is not the way it is meant to be. The Psalmist reminds us that God originally put all things under the feet of Adam (Psalm 8:6). But the writer of Hebrews reminds us that we do not yet see all things under the feet of humanity (Hebrews 2:8), although we do see a crucified and resurrected Jesus (Hebrews 2:9). The apostle Paul likewise reminds us that the creation itself groans under the reign of sin and death, waiting for its rightful rulers to assume their thrones in the resurrection (Romans 8:20-23). The storms and the waves are one more reminder that the "already" has not yet been replaced by the "not yet." Against the backdrop of the hurricane, consider the contrast between the prophet Jonah and the Messiah Jesus. Like Jonah, Jesus is confronted by a seemingly murderous storm, with his fellow travelers convinced they would perish. Whereas Jonah the sinner could only still the storm by throwing himself into its midst, Jesus exercises dominion over the winds and the waves with his voice. Mark reminds us that the boat's occupants remarked: "Who then is this, that even wind and sea obey him?" (Mark 4:41). The CNN meteorologists can explain the hurricane only in terms of barometric pressure and water temperatures. We know, however, that at its root this natural disaster isn't natural at all. It is a creation crying out, "Adam, where are you?" while a wind from God swept over the face of the waters." "...and he sent a wind over the earth, and the waters receded." "...and all that night the LORD drove the sea back with strong east wind and turned it into dry land. The waters were divided and the Israelites went through the sea on dry ground, with a wall of water on their right and on their left." "...and there before me were the four winds of heaven churning up the great sea. Four great beast... came up out of the sea.... and there before me was one like a son of man coming with the clouds of heaven." Lo, he is coming with the clouds and every eye will see him." And I saw... standing beside the sea, those who had been victorious over the beast and his image and over the number of his name. They held harps given them by God and sang the song of Moses the servant of God and the song of the Lamb: "Great and marvelous are your deeds, Lord God Almighty. Just and true are your ways, King of the ages." and with the clouds of the Son of Man. Prayers, by the way, are appreciated for DCF and for these and the other students at Darden. Darden is a top-ranked graduate school of business with a challenging case-study approach to teaching and learning. DCF and the Center for Christian Study would like to support these Darden students and the school in every way we can, as we seek to bring all areas of our lives under the Lordship of Christ. Which brings me to my concluding reflections on Romans 1 and 8, sparked by my larger discussion of Russell Moore's good book, The Kingdom of Christ. As one might expect, the kingdom of Christ and his lordship are linked. If Jesus did indeed become the son of God (human king) in power at his resurrection from the dead if he moved in his own human life from flesh to Spirit (though without sinning)... if he was himself anointed with the Holy Spirit at his baptism in a way which anticipated the fullness of his resurrection kingship... and IF we too are called to walk in the new life of the Spirit until the time of our own Spirit-engendered resurrections... THEN bringing our lives under the Lordship of Christ is at least at one level to be like him now (as the Spirit enables) so that we may be like him even more in the future (as the Spirit enables). If none of this makes any sense, well, uh, you'll probably need to reread the last six or seven posts. And I should also say that this isn't the full story: because Jesus is fully divine as well as fully human, his lordship goes beyond simply the human lordship (sonship/kingship) he obtained at his resurrection. He is worthy of divine worship because he is our God. And yet... he is also the human lord of the universe, a position he attained at a particular time and in a particular way and which human lordship he invites us to join him in. This too is part of the gospel, as Romans 1:3 makes pretty clear. So what does this mean for the present? One of the comments on the last post highlighted the devotional aspect of all this: the call to live now as if the age of the Spirit really had dawned in our lives as we look forward to that great sonrise (Rom 8:18-23!) in the future. I think that is part of Paul's point in Romans right from the beginning. Note that when he refers to the Spirit in Rom 1:4 it is as the "Spirit of holiness." This is an unusual way of referring to the Holy Spirit and accentuates, in Greek as in English, the "holiness" of the Holy Spirit. Why? To anticipate the line of thought in the early part of Romans 8 where the indwelling temple presence of the Spirit in the people of God ("But you are not in the flesh, you are in the Spirit, if in fact the Spirit dwells in you," v.9) demands a certain of life in the present ("So then, brothers, we are debtors, not to the flesh, to live according to the flesh," v.12) even as it promises even greater life in the future ("if the Spirit of him who raised Jesus from the dead dwells in you, he who raised Jesus from the dead will give life to your mortal bodies also through his Spirit which dwells in you"). In other words, the Spirit of future resurrection power is also the Spirit of present resurrection holiness. The Spirit of future bodily transformation is also the Spirit of present ethical transformation. God is engaged in a comprehensive renovation of his creation, completed already in Christ and continuing in his people--from the inside out. So all this talk about inaugurated eschatology and the "already and the not yet" and the two ages with the intrusion of the Spirit is anything but pie-in-the-sky ivory-tower theology. It's all about how the kingdom of Christ is working itself out in our lives and in the church--with a view toward the future--in the right here and right now. That's worth thinking about, on both a personal and societal level, day in and day out. Perhaps some of you can help us draw out the implications of this for our lives. Precisely in order to bring them more and more under the lordship of Christ. Well, summer is over as far as the Wilder family is concerned. Despite at least one son's gallant attempt to delay its onset by refusing to think or talk about it ("No, Dad, I don't know my teachers' names; school hasn't started yet! "), the school year began today. On this one I'm with my youngest daughter..., for whom the beginning of school has been the latest countdown in her life (following the grandest countdown of them all, her birthday in July). I'm glad school is here! It means a return to routine, not least family breakfast and devotion time before we all head off into our days. It's good to have the family all back together again and settled in for the fall. School begins for me in another way as well this week. The University of Virginia begins classes on Wednesday and that means that Center for Christian Study ministry will soon be in full swing. Indeed, it's really already begun. Our Move-In Day luncheon was on Saturday, so the building was packed with hundreds of first-year students with parents and family. Drew Trotter begins his film lecture series tonight (2001: A Space Odyssey) and both the Graduate and Darden Christian Fellowships have their opening picnics. So we're off and running! But let me pause long enough to say a few more words about Romans 1 and 8, a bit of an extended aside in my ongoing discussion of Russell Moore's book, The Kingdom of Christ. Moore notes that a consensus is emerging among evangelical scholars with respect to the kingdom of God, a consensus which has huge implications for how we understand both our present and our future. In short, the kingdom of God has already arrived in Christ and will, at his second coming, fully arrive in the holistic restoration of our bodies and creation that his resurrection already anticipates. In this discussion of Romans 1 and 8 I'm trying to put a little flesh (pardon the pun) on the bare bones framework I've been summarizing from Moore. I've argued that the sonship ("Son of God") in view here does not refer to Jesus being the second person of the Trinity, the eternally begotten Son of the Father (though he certainly is). In this passage the title "Son of God" seems to refer to Jesus' human kingship (that's what "son of God" meant in the relevant OT passages, especially 2 Samuel 7:14 and Ps 2), the very kind of kingship we'll enjoy with him when he returns (see my earlier discussion on the meaning of "son[s] of God" in Romans 8). In other words, Jesus was already an heir to a throne by reason of natural birth ("son from the seed of David"); surprisingly, he came into that inheritance by reason of his resurrection, at which point he sat at the right hand of God and received full human rule over the universe. This is not at all to deny that Jesus was and always had been fully divine; it is simply to say that what was new from the time of his resurrection was his distinctively human rulership over all things. And it is that human rulership which we hope, as those united with him, to share! This brings us then to the flesh/Spirit contrast in Jesus and in us. For Jesus there was a transition from flesh to Spirit, a transition from a normal human existence marked by birth into the line of David to a glorified existence capable of cosmic rulership at the right hand of God. Romans 8 suggests that a similar transition from flesh to Spirit is supposed to take place--indeed, has already begun to take place!--within us (those who have been united with Christ) as well. It is important, first of all, to note (once again) that the contrast between flesh and Spirit is not a contrast between the human and divine natures or, for that matter, between the material and the non-material. It isn't so much a contrast between two natures or realms as it is a contrast between two different ages or times. So there's the age of the flesh, as it were, and the age of the Spirit. The new age has already begun in Christ, who has already entered the age of the Spirit. Most of the rest of the world continues living in the age of the flesh, as if nothing had happened. Believers are, by definition, those who have already entered into the age of the Spirit (or had it enter into them) and are leaving the age of the flesh behind. So how do we know that "flesh" and "Spirit" have to do with ages and times (or even stages) and not with different natures (human and divine, material and non-material)? Mainly from the way in which the Spirit is identified with that fundamental mark of the new age: resurrection! In Romans 1:4 the Spirit-anointing of Jesus as the king/son of God in power takes place at the time of his resurrection from the dead. Likewise, believers are assured in Romans 8 that "if the Spirit of him who raised Jesus from the dead dwells in you, he who raised Jesus from the dead will give life to your mortal bodies also through his Spirit which dwells in you" (v.11). The Spirit thus plays the same role in our lives and bodies as it did in Jesus' human life and body. The same idea is present a little later in Romans 8 when Paul refers to our participation in the coming restoration of creation, by the agency of the Holy Spirit: "...we ourselves, who have the firstfruits of the Spirit, groan inwardly as we wait for adoption as sons, the redemption of our bodies" (v.23). Here again the Spirit is identified with our coming resurrection, though admittedly it is already present in us, beginning the inward work of transformation which anticipates and guarantees the future outward completion of that work. Once the role of the Spirit in the coming restoration is understood--what Gerhaardus Vos called "the eschatological conception of the Spirit"--, then it makes sense to use "Spirit" as a kind of shorthand for this coming age. One's mind is meant to go back to all the prophecies in the Old Testament where the Spirit is the hallmark of the coming age (Joel 3, Ezek 11:19; 36:27, etc.). By way of contrast, then, the "flesh" comes to stand for this present age, marked as it is by weakness and perishability and, indeed, sin. The question, then, for believers is whether they intend to live according to the age of the Spirit, which has begun--quite literally in the resurrected Christ--or whether they intend to deny their assumed union with him by living in the 'old-fashioned' manner, according to the flesh. It is in this way that "flesh" and "Spirit" begin to have ethical implications in the present. But I've said enough for today. Next time I'll comment on the ethical implications of the flesh/Spirit contrast. This is, after all, one of the ways in which this whole understanding of the kingdom of God bears on the present. I've been arguing (in the past few posts) that Romans 1:3-4 is all about the resurrection transition in Jesus from flesh to Spirit, from a natural human kingship to a glorified and exalted human kingship, from participation in this age to his present experience and enjoyment of the prerogatives of the age to come. Romans 1:3-4 is a contrast between two stages in Jesus' humanity, not a contrast between his human and divine natures. This is important, I've been trying to say, because... this two-stage pattern in Christ is one which we were intended to share, as Romans 8 makes clear. Unlike Jesus, we are not both human and divine. However, like Jesus, we are human; indeed, he shows us what it means to be truly human in his movement from the fleshly stage to the Spiritual stage at his resurrection from the dead. It is important, then, not to lose the connection between what happens to Jesus here and what happens to believers later in Romans 8. In brief, both the flesh/Spirit contrast and the two-stage sonship/kingship (remember, "Son of God" in the OT is a kingship title) are there applied to those who belong to Christ! Moreover, the final transition from one stage (flesh) to the next (Spirit) happens at the same point for believers as it did for Jesus: at their resurrection from the dead. For the creation waits with eager longing for the revealing of the sons of God...(Rom 8:19). So much could be said here, but it will suffice for the moment simply to note that language usually reserved for the Lord Jesus and those waiting for him at his return ("revealing," "eager longing") is here applied--in the plural--to believers ("sons of God"). Together with the OT usage of "son of God" (to refer to a king), this is the strongest argument for not taking "son of God" in Paul as a way of referring to the divine nature. Human kingship is in view, in two stages: an initial stage followed by its full consummation. It happened this way with Jesus. It happens this way with us. ...we ourselves, who have the first fruits of the Spirit, groan inwardly as we wait for adoption as sons, the redemption of our bodies. For in this hope we were saved (Rom 8:23b-24a). We're already sons of God, but we're waiting for our final adoption as sons, which is here identified with resurrection, "the redemption of our bodies." This is an astounding hope. Indeed, Paul goes so far as to say that it was "in this hope we were saved." According to Paul, our Christian hope is to share in the human kingship which Jesus now enjoys in his resurrected and glorified human body! Much more could (and will) be said about that literally, glorious hope. But it's worth noting at this point that, like Jesus in his earthly life, we're not simply waiting for sonship/kingship. We may not be sons of God in power yet, but we are already sons of God (kings). We've already been anointed, even if we haven't received our full inheritance. Already we see the kind of "already" and "not yet" that Russell Moore is referring to in his book. And in the next post I'll discuss how that present Spirit anointing is related to the transition from flesh to Spirit that we, like Jesus, were destined to make. In yesterday's post I made the perhaps surprising claim that Romans 1:3-4 is not really a contrast between the human and divine natures of Jesus. It is, rather, a reference to the way in which he moved from a "fleshly" stage of human existence to a "Spiritual" stage of human existence. In this way (as I also began to explain) Jesus shows what God always intended for human beings: a move from a merely fleshly stage of existence to a fully Spiritual stage. To understand what happened to Jesus is to gain a glimpse into our own destiny as those believe in Jesus and hope for the same human destiny. But so far I haven't given you more than a number of bald assertions, without any real support for this position... Let me spell out some of the reasons for this interpretation now. I'll begin with some observations on the sonship of Jesus in this passage. It is first of all important to understand that the contrast is not between Jesus as the son of David (human king) and Jesus as the son of God (divine king). The contrast is between Jesus as the Son of God according to the flesh (as a descendant of David) and Jesus as the Son of God according to the Spirit (by his resurrection from the dead). We know this because in the Old Testament the son of David is, by definition, the "son of God." This is perhaps most clear in 2 Samuel 7, where the son of David (Solomon is most immediately in view) the one of whom God says, "I will be his father and he will be my son." Here's the larger passage. 12 When your days are fulfilled and you lie down with your fathers, I will raise up your offspring after you, who shall come from your body, and I will establish his kingdom. 13 He shall build a house for my name, and I will establish the throne of his kingdom forever. 14 I will be to him a father, and he shall be to me a son. When he commits iniquity, I will discipline him with the rod of men, with the stripes of the sons of men, 15 but my steadfast love will not depart from him, as I took it from Saul, whom I put away from before you. In this passage (and others like Ps 2) it is the descendants of David who are considered the sons of God. It is important to say, of course, that calling the descendants of David "sons of God" was not intended to mean that they were divine. It simply meant that God had graciously given David and his descendants the fundamental right of sonship in the ancient world: inheritance. The Davidic kings were sons of God insofar as they were his heirs, inheriting the right to represent his rulership in the land. So when Paul calls Jesus the "son [of God], a descendant of David according the flesh," he's simply invoking the thought of 2 Samuel 7 and claiming that Jesus is the rightful Davidic king--or "son of God." What then does the second half of the contrast mean, that Jesus "was declared to be the Son of God in power, according to the Spirit... by his resurrection?" Perhaps surprisingly, this is still a reference to the human kingship of Jesus, now come to its climax in a startling way. One key here is the language of being "declared" to be the Son of God. Most naturally, this word (in the Greek) implies that Jesus was designated or appointed the "Son of God in power" at a particular point in time. Of course, if "Son of God in power" refers to the divinity of Jesus, that would imply that Jesus became divine at some point (perhaps along the lines of the deification of Roman emperors). That view denies the eternal divinity of Jesus and has been rightly condemned by the church. So, in what sense was Jesus designated the "Son of God in power" at his resurrection? It seems best to continue to understand "son of God" along OT lines (as human kingship) and then give full weight to the fact that he became the son of God "in power" by virtue of his "resurrection from the dead." In other words, the human kingship of Jesus, already his as a birthright, was completed and fulfilled at his resurrection when he was glorified as a human being and raised as a human being to sit at the right hand of God the Father. Again, this is not to deny the divinity of Christ. That's crucial for our understanding of who he is. It is simply to say that in Romans 1:3-4 Paul is talking about Jesus's movement from being the anointed but not yet enthroned human (and Davidic) king during his life to being the exalted, glorified, and enthroned human king upon his resurrection from the dead. Furthermore, this is precisely the pattern Paul explicates for those who belong to Christ later in his letter to the Romans. We'll talk more about Romans 8 and the way in which it applies this pattern to believers in the next post. I'll begin with a quote from Sinclair Ferguson (via Russell Moore's book, The Kingdom of Christ, p. 48) that summarizes how Romans 1 should be understood in the light of the "already" and the "not yet" (inaugurated eschatology) that I've been discussing on this blog. Older interpreters read Romans 1:3-4 within the matrix of classical patristic Christology as a statement of the two natures of Christ. But the contrast in view is not between the two natures but the two states of Christ, and more precisely between the two aeons of his existence: "according to the flesh" and "according to the Spirit"; his humiliation and his exaltation. His resurrection thus constitutes him messianic son of God with power; in it he is adopted as the Man of the new age. Let me unpack that a bit. Romans 1:3-4 speaks of Paul's apostolic call to preach the gospel concerning his Son, who was descended from David according to the flesh and was declared to be the Son of God in power according to the Spirit of holiness by his resurrection from the dead, Jesus Christ our Lord" (ESV). Note the contrast there. On the one hand, Jesus was born the "Son who was descended from David according to the flesh." On the other hand, Jesus was "declared to be the Son of God in power according to the Spirit..." One could understand this as a contrast between Jesus' human kingship ("descended from David") and his divine kingship ("Son of God in power"). Being descended from David according the flesh would refer to his humanity and being declared the Son of God according the Spirit would refer to his divinity. Understood thus, the passage would set up a contrast between the two natures of Jesus, his humanity and his divinity. But many evangelical scholars (like Sinclair Ferguson and Russell Moore, hearkening back to works by Gerhaardus Vos, Herman Ridderbos, Richard Gaffin and many others) now believe that a contrast between the two natures of Christ is not the fundamental contrast in this passage. It is not a contrast between his humanity (Son of David according to the flesh) and his divinity (Son of God according the Spirit), but between an earlier "fleshly" state (his pre-resurrection human existence) and a later "Spiritual" state (his post-resurrection human existence). What's more, it's precisely in his passage from one human state or stage to the next that Jesus shows us what it means to be really human. We too were intended to move from the "fleshly" stage to the "Spiritual" stage. Such an understanding transforms not only our understanding of Romans 1:3-4. It also transforms our understanding of what it meant and means for Christ to be human, what it means for us to be human, and how God has already--in Christ--begun his intended restoration of all creation. But I'm getting ahead of myself. I need to tell you why we should understand Rom 1:3-4 as a statement of the fulfillment of Jesus' humanity--and an anticipation of the completion of our humanity as well. I'll do that tomorrow. For a brief, shining moment sometime early last Saturday afternoon the entire Wilder family was at home. Valerie and I had returned from running camp and Westminster (respectively), John had come home a day early from Boy Scout camp with a stomach bug or food poisoning, Tom had just arrived from the same camp with a newly-broken foot, and Anna Lena had flown up from spending some time with her godmother in Alabama. The rendezvous didn't last long... Nicolien was off to what became a double shift at the hospital (a night-shift nurse didn't show up) and John (now recovered from his stomach issues) was off to visit his cousin in northern Virginia the next day. Valerie left for another running camp on Monday. If it sounds to you like we may have, uh, overscheduled our summer, I would be inclined to agree. But with four children a camp here and a visit there for each child has a way of swirling and converging into a perfect storm of activity. We define family vacations (and summers) not so much as a change in velocity as a change in venues. After this week we reel everyone back in, though, ready even for the fall to begin and routine (more or less) to return. This Wilder way of hardly finishing one thing before moving to the next thing is NOT what scholars mean by "already" and the "not yet," however. For that (and to continue my discussion from previous posts) I'll pass along a few choice quotes from Russell Moore's The Kingdom of Christ. First, Russell summarizes the position taken by Carl Henry in his 1947 book, The Uneasy Conscience of Modern Fundamentalism. That book "grappled head-on with the foremost obstacle to evangelical social and political action--namely, the lack of a consensus on the nature of the Kingdom" (pp. 25-26). I've already outlined the difference between dispensationalists, who tended to emphasize the "not yet" aspect of the Kingdom, and the covenantalists, who tended to emphasize the "already" apect (see immediately previous post). Carl Henry responded to this impasse by maintaining that "evangelical theology must deal with the biblical data, which seems to indicate a Kingdom that has already been inaugurated and yet awaits a future consummation. 'No study of the kingdom teaching of Jesus is adequate unless it recognizes His implication both that the kingdom is here and that is not here'" (p. 30). Thus, Henry "combined the 'already' kingdom emphasis of the covenant theologians with the 'not yet' kingdom expectancy of the dispensationalists, all within an explicit appeal to the kind of inaugurated eschatological framework already being discussed within New Testament theology by biblical scholars such as Oscar Cullman" (p. 31). "Inaugurated eschatology," by the way, is just a fancy way of referring to the way in which things generally considered to be "not yet" (eschatology=last things) have been begun in the present (inaugurated). Against the debates between the dispensationalists and covenantalists on whether the reign of Christ was best understood as present within the life of the church or the heart of the believer, or future in the millennial Kingdom from a restored Davidic throne, Ladd posited his proposal: the Kingdom has arrived "already" in the person of Jesus and awaits a "not yet" consummation in the millennial Kingdom and in the eternal state. For Ladd, this understanding represented more than just a mediating approach between dispensationalism and covenantal amillennialism. It represented instead an attempt to forge a full-fledged evangelical theology of the Kingdom. This "already" and "not yet" (inaugurated eschatological) approach has huge implications for how we understand what Christ has already accomplished, how he will finish what he has begun, and how we are to live our lives in the meantime. But all that will have to wait for future posts. A few posts ago I mentioned Moore's claim that a kind of consensus on the kingdom of God had emerged within evangelicalism. Rejecting a liberal kingdom theology that only seemed to identify the kingdom with enlightened political or social reform, evangelicals also began (according to Moore) to overcome the deep division within their own ranks. Moore claims that this has been achieved (again, mainly at the scholarly level) by a close attention to the biblical character of the kingdom of God, one which is both eschatological and Christocentric. Moore's second chapter picks up the first of those two emphases: "Toward a Kingdom Eschatology: The Kingdom as Already and Not Yet." Enough ten dollar theological terms? Let me back up and explain some of what all this means. First of all, eschatology is simply a fancy word for "last things." So, typically, when folks have talked about eschatology in the past, they've been referring to things that happen at the end of your life or of the world--things like going to heaven when you die, the second coming, the resurrection, the final judgment, and so forth. If this is what you mean by "eschatology," then of course it has to do with things that haven't happened yet. Eschatology in that understanding has to do with the "Not Yet" side of things. Classic dispensationalism had its own strong twist on this "Not Yet" understanding of eschatology ("the last things"). For those of you who haven't heard the term "dispensationalism," you'll probably be familiar with some aspect of its teaching. Though it does teach that history is divided into a number of "dispensations" (hence its name), its main distinctive is its emphasis on national Israel. In sum, God's people throughout the ages has been Israel, to whom he promised an earthly kingdom. Jesus offered this kingdom to Israel when he came as its Messiah, but Israel rejected its proper Messiah and so the (earthly) kingdom was postponed. Instead, the church age began, which is itself a parenthesis in God's plans for Israel. At the end, however, the church will be taken up to heaven (the rapture) and God will resume dealing with earthly Israel. Eschatology, then, has to do with all those things that happen at the END, right before the rapture and then afterwards. The church age (presently going on) NOT YET the end. You may recognize this kind of understanding if you're familiar with, say, the Left Behind series. On the other side of the divide within evangelicalism is the understanding of eschatology (the last things) found within covenant theology. In strong contrast to dispensationalism, covenant theology has always seen continuity between Israel and the church. The church isn't a parenthesis or pause in God's plans while he waits to resume dealing with earthly Israel. Rather, the church is already the fulfillment of God's plans and purposes for Israel, so that there are distinct ways in which God's end-time, eschatological purposes have already begun. This "covenantalist" way of thinking tended to emphasize the ALREADY dimension of God's fulfillment of his purposes in the church, at least vis-a-vis Israel. Of course, it never denied that more was still to come: the second coming, the final judgment, and so forth. However, many of the things dispensationalism reserved for the future (regarding the fulfillent of God's promises to Israel), covenant theology saw as already fulfilled in the present existence of the church. This brings us then to new evangelical consensus on the already AND the not yet. As we'll see, that perspective emphasizes both dimensions in a more thoroughly biblical way. But that will have to wait for the next post. I need to get up and get busy. I have a full day of driving ahead of me and an apartment to straighten up in the meantime. Frayling made a fascinating comment in the few minutes I listened to the interview Noting the optimistic, "white-hat" persona of the cowboy in American westerns, he pointed to director Sergio Leone's grittier, more pessimistic, "gray-hat" portrayal of cowboys. Thus, asked by a boy why he's helping them, Clint Eastwood's character in Leone's A Fistful of Dollars does not give a John Wayne, "a man's-gotta-do-whatta man's gotta do" response. "What are you doing this for?" the boy asks. "Five hundred dollars," comes the hero's response. It wasn't about doing the right thing. It was just about the money. Beginning with Leone's A Fistful of Dollars, Frayling suggests, it wasn't what you believed in that mattered; it was your style. It was that comment--on the conquest of truth by style--that so grabbed my attention. A similar online quote of Frayling puts it this way: "thanks to the Dollars films, Hollywood action heroes stopped 'being role models and became style statements. You don't identify with them because of what they believe in but because of what they look like.'" And the influence of Leone's spaghetti westerns continues: "Schwarzenegger, Stallone, Bronson, Bruce Willis start here... all that begins with Fistful of Dollars," says Frayling. "Up till then, heroes were supposed to stand for something. 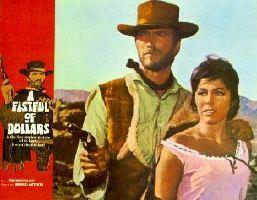 That's the spaghetti western's biggest legacy, whatever the genre." This is, of course, simply another example of our culture's confusion between truth and style, reality and perception. Style is all that matters. Perception is reality. Or, perhaps, in terms of the old Christian triad of the good, the true, and the beautiful, goodness and truth take a back seat to a rather truncated version of beauty, now defined as "style." Christianity offers a very different vision. In the biblical worldview outer appearances can be deceiving, both because evil can pass itself off as good and beautiful and because what is good must inevitably, since the fall, emerge within a world still marred and scarred by brokenness, pain, ignorance, and sin. It is thus imperative to distinguish, as much as possible, between perception and reality. Indeed, one might even define faith as the ability to see past the perceptions of this age to the goodness, truth, and beauty of the age to come, already making their appearance in the community of those of who follow the crucified and risen Lord. But that last sentence needs to be unpacked in light of the points Russell Moore raises in The Kingdom of Christ. I'll try to get back to that tomorrow. Every summer it seems to happen at least once: the Wilder family gets blasted in four or five directions at once. This is that week this summer. I'm writing in a coffee shop right around the corner from Westminster Theological Seminary, having dropped my oldest daughter off at a running camp near here yesterday. My two sons are at Scout camp this week and I just talked to my youngest daughter right before she boarded a plane to spend with her godmother and family in Alabama. Nicolien (my wife) is the only one left in Charlottesville. The logistical feat (those of you with children will appreciate this) is all the more impressive when one considers... that we scattered in our various directions, not from home base, but from my parents' home in North Carolina, where we were celebrating my father's 65th birthday. As far as that goes, I should say that one of my goals is to reach my father's age with something of the same humor, grace, wisdom, and commitment to Christ which he has achieved--and this as the patriarch of a family that has sometimes mistaken its surname for a personal comparative adjective (see first post above). I'm staying (one might say 'freeloading') now with Mark and Karyn Traphagen, very close friends of Nicolien's and mine from Charlottesville. Mark gave me the grand tour of Westminster Theological Seminary (outside Philadelphia) today. Since I've been an adjunct faculty member there for, oh, five years now, it seemed fitting that I should finally see the campus. I'll be here until Thursday morning and then it's back to North Carolina via the running camp. Before then I hope to get back to my review of Moore's The Kingdom of Christ, but first a bit on spaghetti westerns. The topics are not completely unrelated. But that's for tomorrow. Reading is often a juggling act for me. This summer I've either finished or am in various stages of reading (or listening to) Richard Middleton's The Liberating Image, Anthony Hoekema's The Bible and the Future, Russell Moore's The Kingdom of Christ, Matthew Scully's Dominion, Dostoevsky's The Brother's Karamazov, and John Updike's Seek My Face. That's not counting the books I've ordered but haven't gotten to yet (with Peter Enns' Inspiration and Incarnation high on that list). One of the books that, having actually finished it, I'm recommending all around is... The Kingdom of Christ, by Russell D. Moore. It does a good job of placing the evangelical debate about the nature of the kingdom of God in historical, sociopolitical, and theological perspective. In this blog and a few that follow I'll paraphrase some of Moore's major arguments and comment on some of my favorite passages. The Kingdom of Christ is about the evangelical struggle, especially over the past fifty years or so, to come to terms with the meaning and significance of the kingdom of God. Evangelical Christians were up against Protestant liberalism, on the one hand, and serious division within their own ranks, on the other. The Kingdom of God is not confined within the limits of the Church and its activities. It embraces the whole of Christian life. It is the transfiguration of the social order. The Church is one social institution alongside of the family, the industrial organization of the society, and the State. The Kingdom of God is in all these, and realizes itself through them all. Unfortunately, this view of the kingdom limits it to the possibility of broad social and political evolution (with the church as only one part among many) in the present age (without a robust expectation of the supernatural consummation of God's purposes in the future). Conservatives saw this as liberals taking the "opportunity to remain within the circle of religion and yet have less of the obsession of God" there (p. 23). However, evangelicals had their own problems defining the "kingdom." There were the dispensationalists on one side, who relegated the kingdom of God to a future age of fulfillment for national Israel. The present "church age" was considered to be a parenthesis in the plan of God. On the other side were the covenantalists, who understood the church to be the present manifestation of the kingdom, but tended too to emphasize individual salvation at the expense of God's larger purposes in the restoration of the heavens and the earth (p. 23). Moore's book then goes on to show that, through a common commitment to the study of Scripture, dispensationalists and covenantalists have addressed the weaknesses of their systems in a way which honors the eschatological and Christ-centered nature of the kingdom in the New Testament. As a result, a consensus of sorts has emerged (at least among evangelical scholars) as to the nature of the kingdom of God, with distinct implications for Christians and the church in the social and political arenas. More on that consensus in the near future. Bill Wilder received an undergraduate degree in English and German from Guilford College and an M.Div. degree from Gordon-Conwell Theological Seminary. He completed his Ph.D. in Biblical Studies at Union Theological Seminary in Virginia. 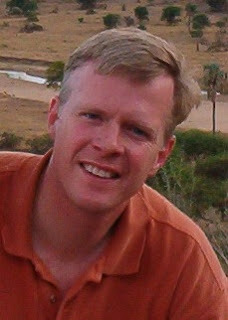 He is the author of Echoes of the Exodus Narrative in the Context and Background of Galatians 5:18 (Peter Lang, 2001). After serving two years at the Nigerian Baptist Theological Seminary in Ogbomosho, Nigeria, Bill and his family moved to Charlottesville, Virginia, where Bill is now Executive Director at the Center for Christian Study.